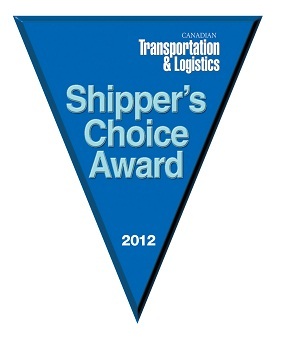 Cavalier Wins 2012 Shippers Choice Award July 27, 2012 We are pleased to report that Cavalier has won the 2012 Shipper's Choice Award as a top Canadian LTL carrier as awarded by Canadian Transportation and Logistics Magazine. It is an honour to receive this award as the winners are determined exclusively by our customers. We would like to thank all of our employees for their hard work and dedication. Congratulations to the best team in the business!